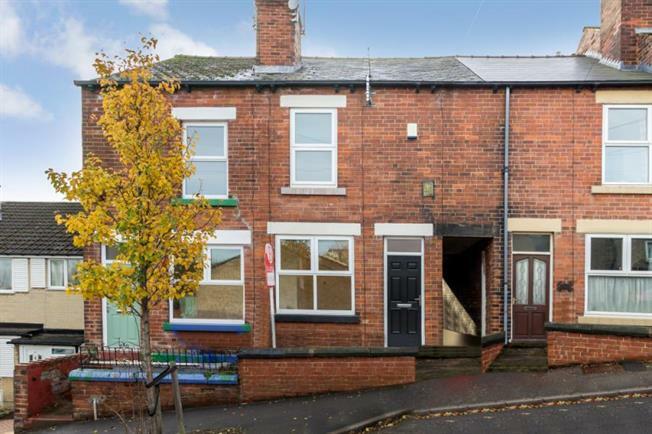 3 Bedroom Terraced House For Sale in Sheffield for £170,000. A superb opportunity to acquire this well presented three bedroomed terraced home located in the heart of sought after and highly convenient suburb of Walkley. Offering spacious accommodation over three levels with the benefit of double glazing, GCH, over passage accommodation on the first and second floors, forecourt and lovely rear garden. The property is also available with no chain. Walkley is a sought after and convenient suburb with South Road at its heart providing a wide range of shops, supermarkets, pubs, restaurants, library and local independent retailers. With excellent public transport links providing access to the city, central hospitals and universities. Schooling comprises 3 primaries with Walkley Primary, St.Marys CofE and Sacred Heart Catholic School. Local walks in the picturesque Rivelin Valley and Bole Hills are nearby. The accommodation comprises an entrance door opening to the lounge with window to the front and with wood effect flooring. An inner lobby has stairs to first floor landing. The Dining Kitchen has window to the rear with aspect over the garden with cellar head access and wood effect flooring. The Kitchen has a range of base and wall units with contrasting work surfacing having inset sink and drainer. Coming complete with integrated oven hob and extractor, plumbing for washing machine, with tiled splash backs, and rear access door. On the first floor, the Master Bedroom is carpeted with useful under stairs cupboard and carpeting, extending over the passage providing spacious accommodation. Bedroom Two provides flexible accommodation as second bedroom, study or nursery. The Bathroom has four piece suite comprising WC, wash basin, bath and separate recessed shower enclosure. tiled splash backs and rear window. Further stairs rise into the spacious studio style Attic Bedroom Three, with Dormer style window offering natural light, carpeted, throughout. To the exterior of the property is a forecourt to the front, the garden area to the rear provides an excellent outdoor seating and entertaining area with decked area and lawn. An early viewing is recommended to take advantage.